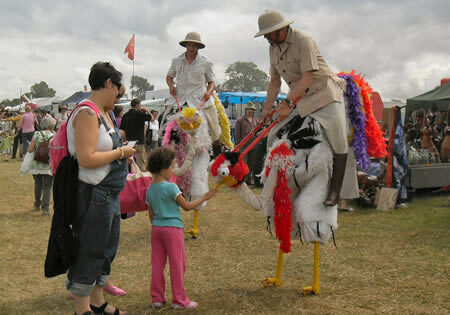 There's lots of family fun at Hollowell with entertainers around the field together with the modern and old fashioned fun fairs providing great rides and lots of laughs for both parents and kids alike. Look in the "Gallery" in the "About us" tab to see just what a great family day Hollowell is for everyone . These are just a few of the entertainments booked that will be enjoyed by parents and children alike. Mr Alexander -The very talented Mr Alexander and his ensemble; fascinating entertainment for everyone. Mr Hairy - This hilarious furry blue organ playing character will keep you in stitches. Bernese Carters - Beautiful Cart pulling Bernese Dogs. ARIA - If you like Reptiles, Snakes, Lizards, Insects and Spiders, this is the Tent to go to. Lichfield Belfry - Hand Bell ringing at its best. Anglia Marine -Model boats in a large pond area - try your hand at controlling model boats.